Staten Island’s Wyeth House built in 1856. Photo: LPC. Home of former Assemblyman and opera singer designated. 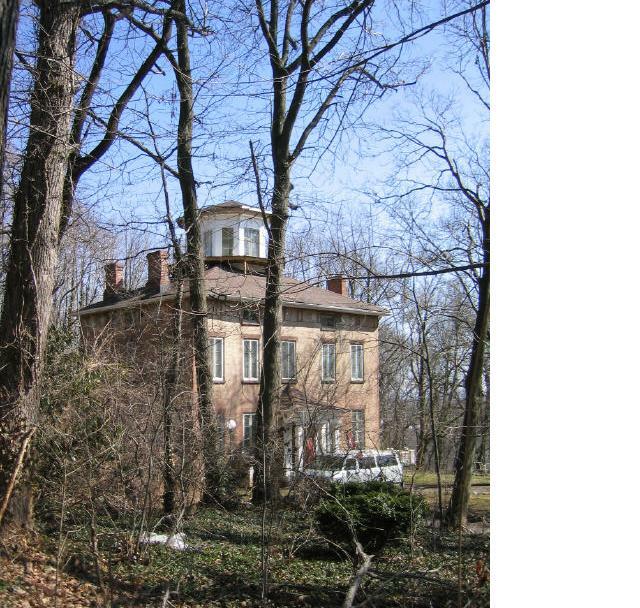 Landmarks designated the brick and stone Italianate villa located at 190 Meisner Avenue in Lighthouse Hill, Staten Island as both architecturally and historically significant on May 15, 2007. Built in 1856 for Nathaniel J. Wyeth, a prominent lawyer and Assemblyman, the home retains its octagonal cupola, molded caps and two chimneys. In 1925, opera star Graham Marr purchased the house, living there with landscape architect Norman Robert Morrison. Marr and Morrison rebuilt the captain’s walk around the cupola. LPC: Nathaniel J. and Ann Wyeth House, 190 Meisner Avenue, Staten Island (LP-2253) (May 15, 2007).